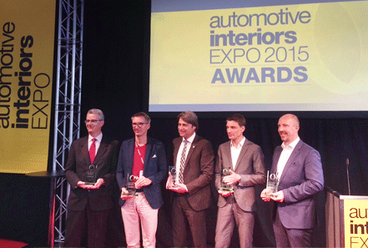 During the Automotive Interiors Expo in Stuttgart this June the winners of the Automotive Interiors Expo Awards were announced. Robin Page, Volvo’s vice president of interior design, received the honor of Interior Designer of the Year. Page’s work, which includes a high-tech touchscreen control console, was recognized as helping to build the company’s luxury credentials. Page said “I am humbled by this award. The interior design of the XC90 reflects a paradigm shift for Volvo Cars. At Volvo Cars we focus on creating an overall luxurious living experience. This means using natural materials such as wood, leather, and crystal in a way that delivers calmness and serenity to the driving experience”. In the other categories Johnson Controls was awarded the Supplier of the Year. BMW won the Interior Innovation of the Year – Production Vehicle Award for the instrument cluster on the BMW i8. Two other award categories focused on concept car design and innovation across the interiors sector. The Interior Design of the Year – Concept Vehicle saw the Mercedes-Benz F 015 take top honors. Faurecia scooped the Concept Interior Innovation of the Year for its lightweight seats in the Renault Eolab concept. Our executive search recruiters of our automotive practice in Munich joined the event to gain valuable insight of the latest automotive interior trends.